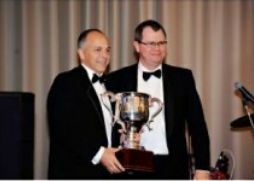 QPF were very proud to receive the Capital Finance Australia’s National Broker of the Year award at a recent event in Sydney NSW. Capital Finance (CFAL) is Australia’s largest independent financier and a subsidiary of Lloyds Bank TSB (UK). Their 2011 Dealer of the Year gala award dinner was held at the Intercontinental Hotel in August with Finance Brokers from all across Australia. These prestigious awards are judged on a number of criteria including; volume of business written; profitability; ease of doing business; and advocacy.